I used to think that the Times Square New Years ball was on the cutting edge of lighted spherical technology with its 288 crystal triangles. 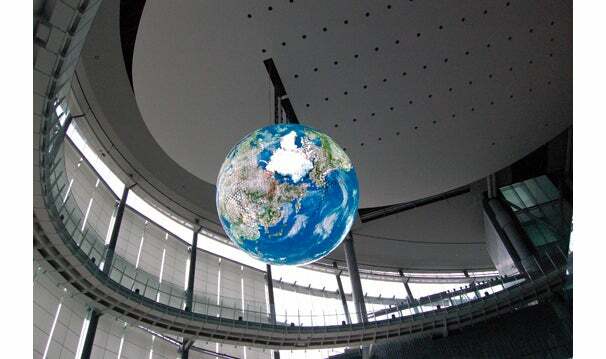 But then Mitsubishi went and shattered my entire worldview with its 10,000 OLED "Geo-Cosmos" display. 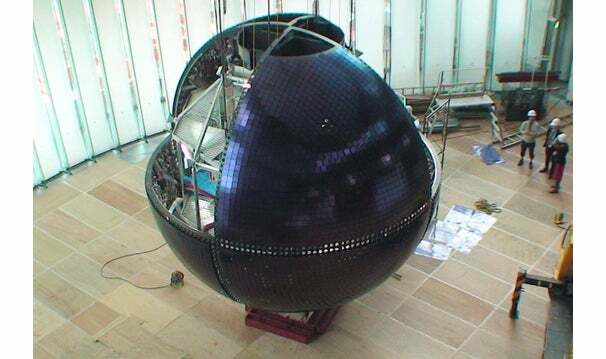 The six-meter (roughly 19-feet) sphere--that’s 7 feet larger than the ball in New York--has 10,362 PMOLED panels, with each measuring 96 by 96 millimeters. It can produce a resolution of 10 million pixels. The globe has been programed to display scenes of clouds and other images of the earth taken from a meteorological satellite--and as you can see from the above photo, it looks freakishly good. The innards shot of the round display is pretty ridiculous too. it’s got interior scaffolding, and in the background you can see the scale of it is almost cartoonish compared to the size of its creators. If you’re in the Tokyo area, it’s on display at the National Museum of Emerging Science and Innovation.